We listen and effectively respond to your needs and those of your clients. Our services are designed to get your package to it's destination safely and quickly. 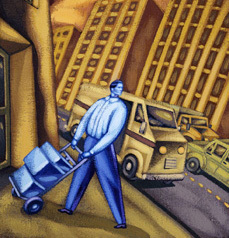 Corporate Courier, Inc. (CCI) has provided delivery service in the Greater Atlanta Area for more than 20 years. CCI's high standards of operation and professional dedicated staff have contributed to it's steady growth and customer base. We are excited about our new Web Order Entry Software offerings. We are experts at translating the needs of our customers into delivery solutions that work, which is why we have added this new Order Entry and Tracking Software. Now our customers can place their order for CCI service direct from your internet browser. Want to sign up for this new key feature? 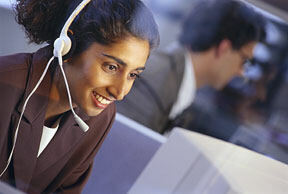 Just give one of our Customer Service Reps a phone call and we will be happy to setup a web account for you. Your needs and those of your clients are our primary concern. We view ourselves as an extension of your company's operation. 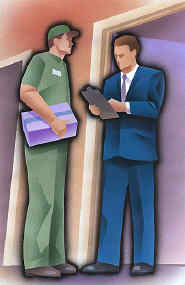 From your service requests to your customized billing needs, we provide computerized service, quickly and efficiently.